Gas water heaters use a special flue connection, called a draft hood, that allows indoor or surrounding air to induce a draft up the flue increasing speed and efficiency of the exhaust of the combustion gasses. That is the theory anyway. If the flue is installed properly it should draft properly but there can be problems that can be hidden that can cause problems with proper draw. 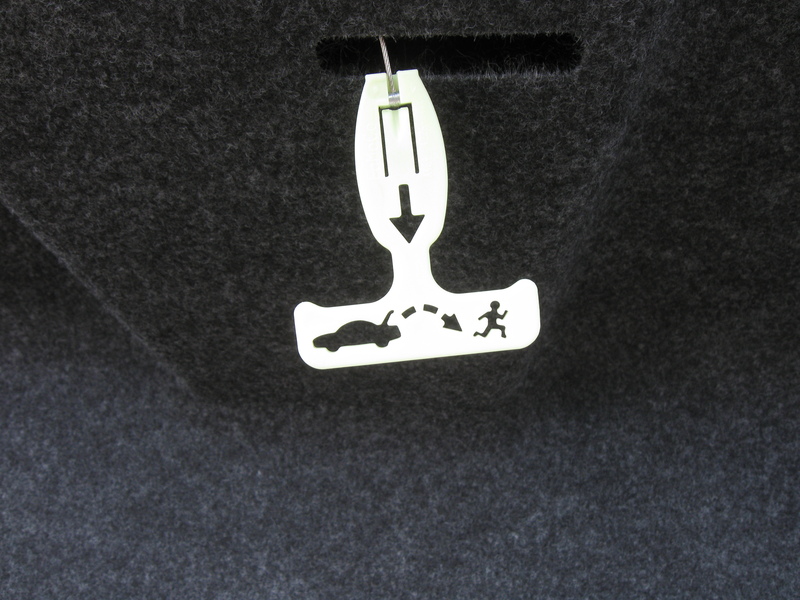 When the draft hood does not function properly you get what is called backdrafting. This is where combustion air would rather spill back into the home or garage instead of getting effectively sucked up the chimney. This is potentially dangerous because sometimes gas appliances do not burn as clean as they should and monoxide is a by-product of improper combustion. 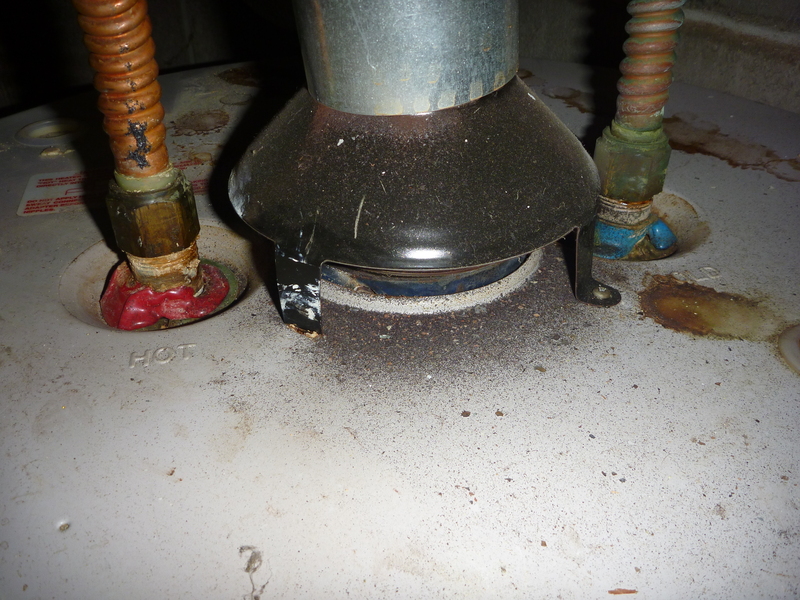 On a recent home inspection I noted issues with draft on the water heater. The combustion air was spilling into the home. So much so the plastic trim on the water pipes were melted! I suggested that this was potentially dangerous and a licensed professional plumbing/heating and air contractor repair as necessary. Several weeks later I was asked by my client to re-inspect the work that was done. Everything looked great until I got to the water heater draft hood. No change to the back drafting condition could be noted. Fogged mirror indicates back drafting. One of the problems with repairs done by the seller is that they usually want to meet the agreed upon conditions for the least amount of money as possible! A week later I was called back to inspect the back draft once again. This time I met the heating and air contractor who was involved in the repair. He told me how he began to fix sections of the flue and he kept discovering problems. 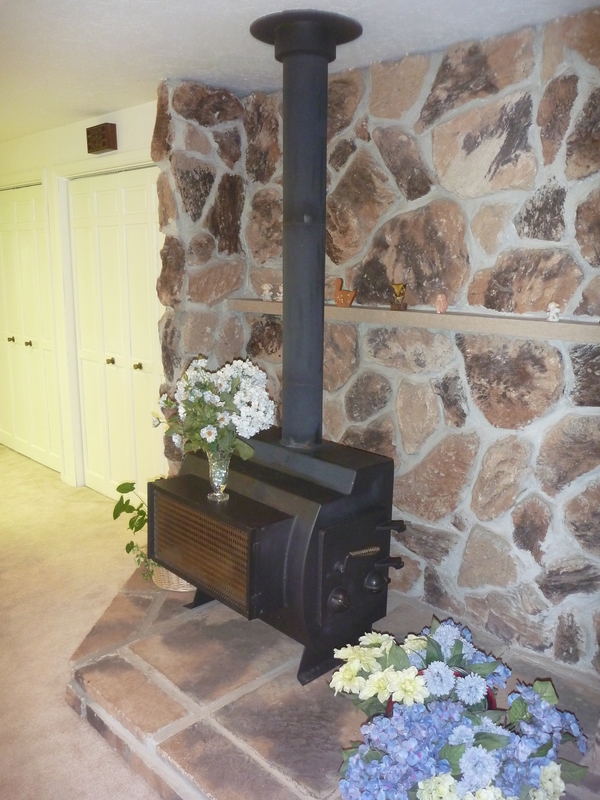 He ended up replacing the entire flue all to way up to the roof line due to the deteriorated, unlined masonry chimney that was at the root of all of the issues. Make-up air: The volume of air that is required to replace exhausted air from a given space. If you have gas appliances, a well weatherized and insulated home, and exhaust fans check out the following video for a serious consideration…. Oil tanks were very common between the 1920s and 1960s for the relatively cheap heating oil for the oil furnace and for a while it was thought that sticking those tanks in the ground would be a great idea. If the home has exchanged hands a few times a hidden underground tank may be easily forgotten. The presence of a hidden underground oil tank is an issue that can rear its ugly head during a real estate transaction/home inspectionevery now and then. There are some things that you should know to help protect your client and yourself. 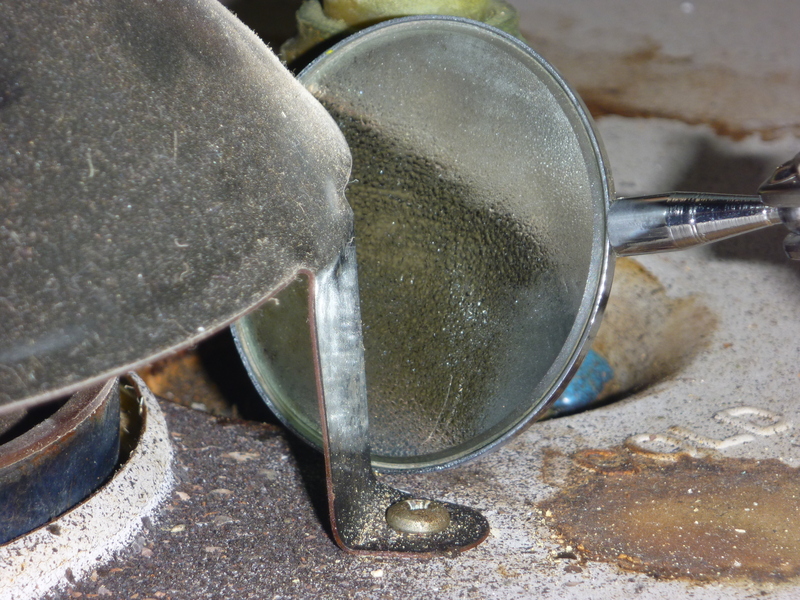 A licensed professional tank locating service is the best way to ensure that no problem tanks exist under the surface however there are a few things that buyers, agents and home inspectors can look for that can be flags that indicate the need for further evaluation. Fill, or Vent Pipes or the tank itself: The tank is pretty self explanatory but the fill and vent pipes are usually a little more concealed and you must know what to look for. The fill lines will usually be a 2 or 3 inch pipe sticking up from the soil or out the side of the home. The vent lines will be smaller 1 inch pipeswith special vent caps like these photos. These tubes are not terribly reliable because they are easy to cut off andcover up.Supply lines: Short of a metal detector and probes (professional tank finder tools) the supply lines are the best indicators of underground tanks. Supply pipes will be small(1/4″) copper lines. These lines, or the reminents of the lines will be located in the basement/garage, near the furance (or where the furnace once waslocated) or in the crawlspace. In general two lines indicate underground tanks. One is for the supply and the other is for the unburnt oil to return to the tank that is lower than the furnace. If only one line is present it may be an indication for an above ground tank. Unfortunantly these are general rules and underground tanks could have still used one line. The two lines to the left could be noted in the crawlspace. The crawlspace is the place where things are least likley to be “covered up.” The clipped lines to the left were noted in a home that had an oil tank that had been properly remidiated. Unfortunantly these lines were going to a completely different tank in on the oposite side of the home! If any of the above conditions can be noted it is time to do some more investigation. The internet and the DEQ is the first place tocheck. The Department of Environmental Quality (DEQ) here in Oregon, has a program to help keep track of those oil tanks that have leaked. The site is:http://www.deq.state.or.us/lq/tanks/lust/LustPublicLookup.aspThere is a trick to using the search engine: You must just enter the address number only! !If you enter the street name it will not work.If excavation or redevelopment is planned you can find information on known and suspected Leaking Heating Oil Tanks (HOT) and if the site has received a closure letter for the decommissioning, assessment or certification of the HOT.If a HOT is present there may be contamination of the surrounding area and a cleanup may be required. Decommissioning, assessment, and cleanup must be performed by a DEQ licensed HOT Service Provider. For you agents, check out this publication: What agents should know about underground oil tanks. http://www.deq.state.or.us/lq/pubs/factsheets/tanks/hot/BuyingSellingHomeHOT.pdf I posted this information a few months back and last week I found two little copper lines in the crawlspace under a home in Silverton. These lines are a great indicator of underground storage tanks so I raised a bright orange flag and alerted my client. The home had been owned by 4 different people in the last 20 years and the current owner had the home for the last 6 months. There was very little chance the current owner had a clue about oil tanks and whether proper decommissioning had occurred. I tried the search myself and by entering the address numbers but not the street name found documentation that the tank had leaked and had been removed and cleaned up in 2003! That is info that can now be linked to the home no matter who owns it. 503-229-6170 and found her to be very helpful! These are the proper steps to take if an underground tank is suspected. The responsibility of proper remediation fall on the current owner and the cleanup of leaking underground tanks can easily exceed $10,000. Pay attention and don’t be surprised with that expense. I welcome calls or emails if additional information is desired. Universal symbols are everywhere these days. Traffic signs especially have pictures and symbols instead of words so that any person, know matter what language they speak, can understand what is expected of them. There are universal symbols that all good home inspectors should recognize as well. Mushrooms growing out of your siding, large cracks in foundations and carpenter ants streaming out of a sill-plate are all things that any home inspector should recognize as a universal symbol of problems. Another important universal symbol for home inspectors recognize in this area are two small copper lines, going into the ground in garages or crawl spaces. These copper lines, can be indicative of underground oil tanks. These tanks, if not remediated properly can be a significant cost and an environmental hazard to a home-owner/home-buyer. The Department of Environmental Quality in Oregon does maintain a database of remediated oil tanks. As I wrote previously, the database is relatively new and unless the tank has been remediating recently, there would not be record of the tank. This means that it is still important for home inspectors to keep their eyes out for the universal symbols and to let the buyers, agents and sellers that are involved in the transaction know about this potential environmental issue. Toxic Talk was the title of the Salem Association of Realtor’s Educational Event yesterday. Radon: It will kill you. Any home might have an issue. It comes out of the ground and even with a well ventilated crawlspace your home can concentrate this poisonous, radioactive gas. Arsenic in Water: It will kill you. Wells will be required to be tested for it during a real estate transaction. If you have it and install a filter CHANGE YOUR FILTER carefully and regularly. Moral: Hopefully you won’t have to call these guys EVER! Lead: It will kill you. (yup, believe it or not) Soon Oregon is going to have some changes that require certifications of ANYONE dealing with repairs of older homes and mandatory lead testing of all of these homes! Moral: Whether you like it or not your home will be tested….. Moral: Get your home tested. Crawlspace/basement leakage: This will probably kill you too but I think the moisture just causes stuff that will kill you…. Crawlspaces and basements are swimming pools and although there are ways to minimize the water intrusion, they are not required by code. Moral: Pay a good Home Inspector to check out your crawlspace BEFORE you sell! With more and more banks acting as the primary owner of homes I am starting to see more and more ridiculous decisions. Issues that would never come up for a home owner are now manifesting due to the utter lack of common sense displayed by most banks when home ownership is their new responsibility. Recently I got the chance to inspect a bank owned property here in Salem, Oregon. It was cool the morning of the inspection but not unusual (the high 20’s). The bank in their infinite wisdom turned the water to the home on, for the inspection. But……some one forgot about the heating system…… The agent, client and I walked into the home and discovered a large pool of water on the floor of the kitchen and dining room and rain falling from the kitchen ceiling! Although the leakage was awful, it was still manageable. The water had not been there for very long and the wood flooring was not even warped, yet….. I turned off the water and grabbed some towels to try to sop up the majority of the water. We rescheduled the inspection and hoped that the bank’s reps would properly dry the home before serious damage occurred. Three weeks later….the bank just got the heat on!!!! During the subsequent home inspection I find typical water damage issues and ceilings, walls and flooring that is still wet! A good general rule of thumb is: if water is uncontrolled in a home for as little as 24 hours, mold can start to rock and roll. I did not do any mold testing in this home but I just can’t help but wonder what the second floor joist bays look like. Hmmm…wet wood and paper for 3 weeks, I think it is probably very fuzzy with fungal growth. are so ill suited to be primary owners of homes that they spend dollars to save pennies. Oil tanks were very common between the 1920s and 1960s to store the relatively cheap heating oil for the oil furnace. If the home has exchanged hands a few times a hidden underground tank may not be known about. The presence of hidden underground oil tanks is an issue that can rear its ugly head on a home inspection every now and then. Thankfully the Oregon DEQ is doing something to help. There is a trick to using the search engine however: You must just enter the address number only!! If you enter the street name it will not work. I posted this information a few months back and the links were not functional (my own mistake for not checking for myself). 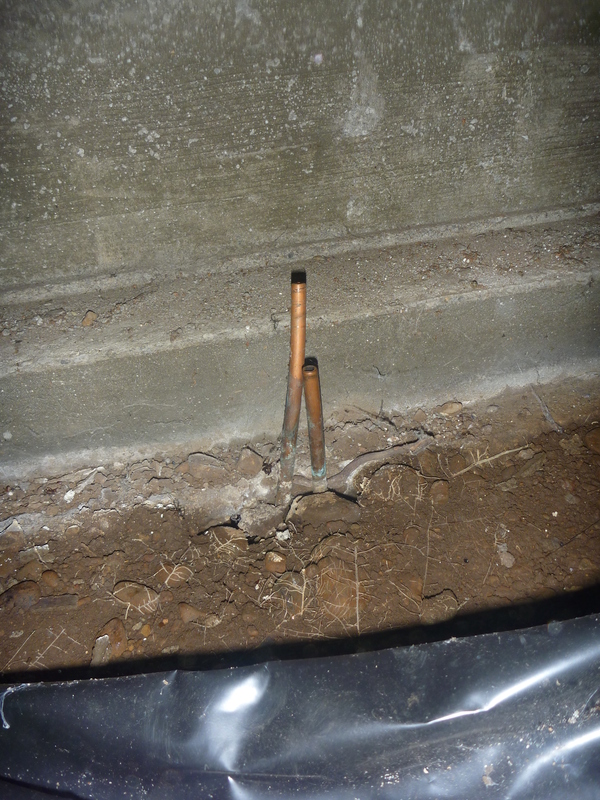 But last week I actually found two little copper line in the crawlspace on a home in Silverton. These lines are a great indicator of underground storage tanks so I raised a bright orange flag and alerted my client. The home had been owned by 4 different people in the last 20 years and the current owner had the home for the last 6 months. There was very little chance the current owner had a clue about oil tanks and whether proper decommissioning had occurred. So I tried the search myself and by entering the address numbers but not the street name found documentation that the tank had leaked and had been removed and cleaned up in 2003! That is info that can now be linked to the home no matter who owns it. On a home inspection the other day I popped my head into the attic space of a vintage 1950 home. At first glance the attic felt unusually warm and moist. From the outside the gable vents appeared to be large enough and should have kept this attic effectively ventilated however the current renter had some other ideas. He told me that he had been in construction for years and was currently unemployed. This vintage home had a minimum amount of insulation and the gable vents were covered with plastic!! All of the warm moist air coming up out of the home was being trapped in this unheated, unvented, ideal mold growing limbo. The roof sheathing was covered with a soft and fuzzy patina, very artistic but not very pleasing for home maintenance and air quality. The moral of the story is those openings in your attic and there for a reason and very important. They are not there to make you suffer when it is time to pay the heating bill. Insulation should be used on HEATED surfaces. Your attic is not a heated space. The floor of the attic is next to a heated space and this is the only surface that should be insulated. The rest of the attic should have enough vents to keep the attic as close to the exterior temperature as possible. This will vent excess moisture, cool the roof system and provide a good environment for maintenance of the structure of the roof.